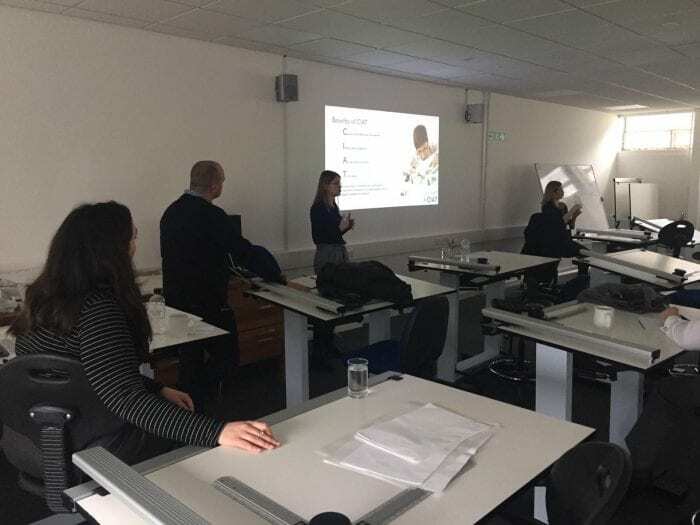 Architectural Technology Membership and Professional Development Session was held at School of Environment and Technology, University of Brighton on Friday 15 March 2019. The event which is run by the Chartered Institute of Architectural Technologists, the main accreditation body for Architectural Technology in the country, was formed of three talks by Ms Dorota Fitzpatrick, Assistant Membership Director, CIAT on routes to membership, Mr Michael Greve MCIAT, South East Region Chairman on his professional development as an MCIAT, and Ms Carly Freeman, HAYS Recruiting on job applications and interviews for AT graduates. It was attended by the University of Brighton 2nd and 3rd year students as well as CIAT South East Region (Region 10) associate members who were seeking to fulfil the professional requirements to become a full member. The event was sponsored by the CIAT and attended by 40 participants. The students had the opportunity to ask questions and network with both SE Region Committee members and practicing architectural technologists in SE Region. The students described the event professionally helpful, individually inspirational and socially fun. This entry was posted in Construction, Events, Life at Brighton, News, Uncategorized, Undergraduate.